Class B Digital Device. This equipment has been tested and found to comply with the limits for a Class B digital device pursuant to Part 15 of the FCC Rules. These limits are designed to provide reasonable protection against harmful interference in a residential installation. This equipment generates, uses, and can radiate radio frequency energy and, if not installed and used in accordance with the instructions, may cause harmful interference to radio communications. However there is no guarantee that interference will not occur in a particular installation. If this equipment does not cause harmful interference to radio or television reception, which can be determined by turning the equipment off and on, the user is encouraged to try to correct the interface by one or more of the following measures. Caution to the user. 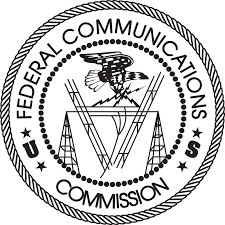 The Federal Communications Commission warns the users that changes or modifications of the unit not expressly approved by the party responsible for compliance could void the user’s authority to operate the equipment. Maltron keyboards also meet E.C. requirements regarding emission of electromagnetic radiation and susceptibility to interference from such radiation. Click the button for the FCC Form 740 required for all shipments to USA .